We’d be hard-pressed to find something David Beckham cares about more than his family, so it’s never much of a surprise when he goes under the needle for a tattoo honoring his kids, which he did this week for what seems like the hundredth time. The 42-year-old hit up Shamrock Social Club’s master tattooer Mark Mahoney on Monday, July 17, for a new script tattoo on his neck that reads “Dadda,” an obvious tribute to his four loving sons, Brooklyn, Romeo and Cruz, and his sweet little girl, Harper. The proud papa also had Mark touch up an older tattoo on his leg the same day. With more than 40 tattoos to his name, many of which were done in the last few months, it seems David Beckham has nothing better to do than get tattooed, and his love for ink has rubbed off on his eldest son Brooklyn, who at the young age of 18, already has four large-ish tattoos and counting. Both father and son seem to favor Shamrock Social Club when they get inked too, a West Hollywood studio that prides itself on being the spot “where the elite and the underground meet.” It doesn’t hurt that David Beckham and owner Mark Mahoney are close personal friends either. David Beckham took to his Instagram Stories to show off his new “Dadda” neck tattoo, captioning the snap “And a little something new…Dadda,” with a shout-out to Shamrock Social Club. 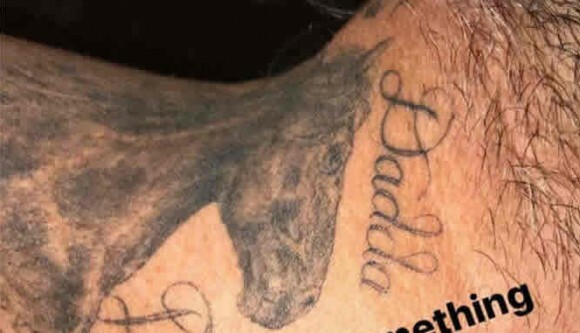 The fresh ink is located just above the horse tattoo the football star had done last year, and joins dozens of other tattoos dedicated to his family, including matching “Brooklyn,” “Romeo” and “Cruz” tattoos on his back, a sweet “Harper” tattoo on his neck, and numerous tattoo tributes honoring his wife, Victoria. 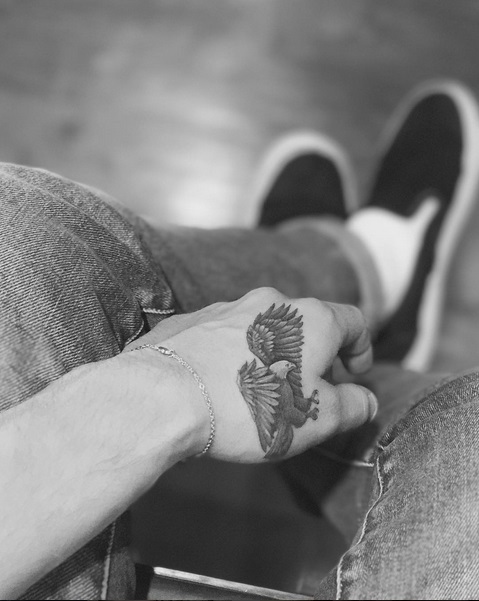 Brooklyn Beckham also opted for a new tattoo this week, getting an incredibly detailed image of a bald eagle on his hand, from another famous Hollywood tattoo artist, Dr. Woo. Just last week, Brooklyn had Dr. 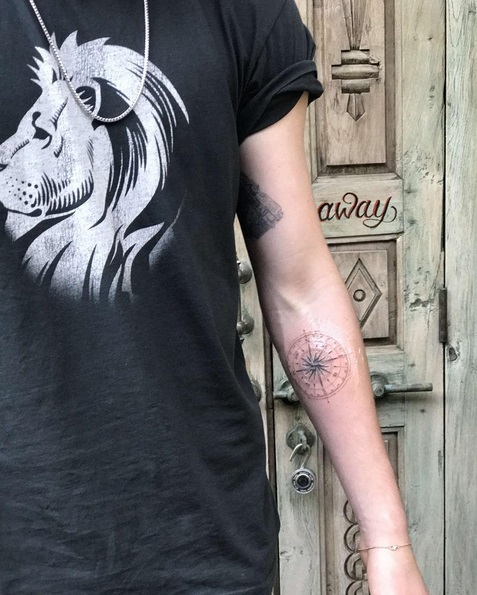 Woo give him a fresh compass tattoo on his left forearm, the same arm that holds the camera tattoo he had done earlier this year. If it’s possible for that sort of thing to run in the family, Brooklyn Beckham definitely inherited his father’s love for tattoos, and we can’t wait to see what the father-son duo gets next!